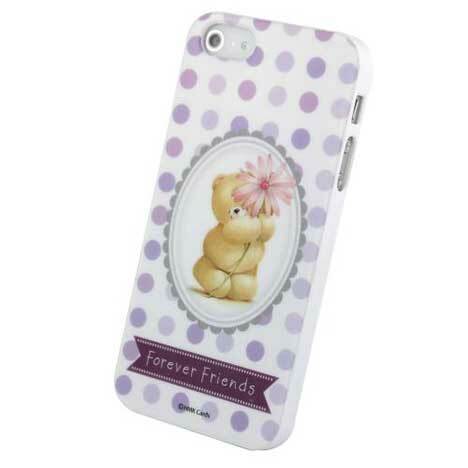 Protect your mobile phone in this very cute Forever Friends purple polka iPhone 5/5S gel case. Ergonomic design and tailored to fit the specified model. Easy to fit, simply stretch the gel case and slide the phone in. Allows access to all buttons and headphone jack. Gives your phone a crystallized look. Slim fit ensures your mobile phone does not look bulky. Silky smooth rubber feels gentle and relaxing on the hands, also allowing great grip. Perfect protection from dust, scratches and falls.